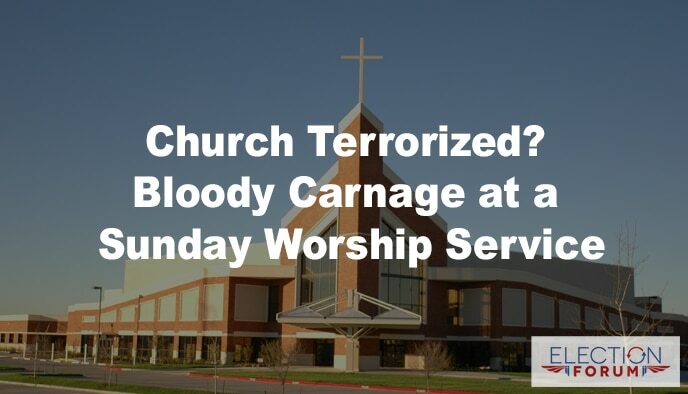 No Christian goes to a church service on Sunday morning and expects to be attacked, shot, or even killed. But unfortunately, as we see persecution of Christians on the rise in America, we need to consider how to be prepared for anything. Attacks against churches are rising. It was a normal Sunday meeting. Smiles, worship, fellowship…and death and bloody carnage. Burnette Chapel Church of Christ in Antioch, Tennessee was terrorized by a masked man- now identified as Emanuel Kidega Samson- showing up in the church parking lot after a service with a gun, ready to kill Christians. After killing one woman outside of the building, Samson entered the church and shot at six more people, who fortunately survived. Mayhem ensued, as congregants responded by hiding under pews or in bathrooms attempting to escape the gunfire. It’s a sad day when we can no longer feel safe at our own churches. 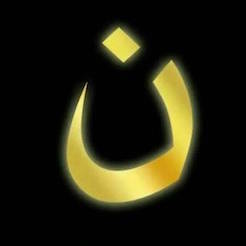 It’s also an indication that persecution of Christians is on the rise in the United States. One man, Robert Engle, stood up that day as a hero. Engle tackled the killer, attempting to wrestle the gun away from him and save the lives of the others in the church. Although he was badly beaten and wounded in the process, he kept on in the struggle. During this intense confrontation, Samson accidentally shot himself in the chest. Praise God, Engle had a gun to stop the violence. He ran to his own vehicle to retrieve his weapon, holding Samson at gunpoint until the police arrived. Engle is a hero—and he is also an example to us all. We need to know how to be prepared for this kind of violence, especially at the hands of those who want to harm the Body of Christ. I urge you to train and equip yourself and others to know how to respond to crisis, and to know what your legal rights are as an armed citizen. If you are in an incident of violence, the law is in the hands of the armed citizen until the police arrive to intervene. That means it’s your responsibility to know how to respond to crisis in order to protect yourself and others from physical harm. As Christians, we need to know how to prayerfully prepare and respond to crises of violence. Pastors and other leaders in the church have been given a great responsibility to watch over the flock, to protect them, and help ensure their safety. This extends to church security measures. 2. Have a security ministry team. Just like any other ministry team, the security ministry team is a crucial part of the body. As 1 Corinthians 12 explains, the body has many parts, but all are of great importance. Consider the fact that members of your church may be active or retired members of law enforcement or the military- they can be of valuable service to your church. Regardless, all members should be screened, carefully selected, should participate in biblical training and worship, and should be exhibiting a mature walk with the Lord. What would you do in a crisis like the one in Tennessee? If your church is in a rougher section of town, or is at particular risk for being attacked by religious terrorists, you may want to pay special attention to building a plan for defense. They have built a volunteer security team, including former members of the military and law enforcement. They have engaged in special training with firearms, first aid/combat life saving and verbal de-escalation. They have members appointed to watch the doors and patrol the parking lots. They also have members who are in the sanctuary during service and pay close attention to suspicious individuals that show up. Three-quarters of their security team are armed. Members have different responsibilities during a crisis, such as calling 911, taking care of children, providing aid if necessary, taking videos, and even providing prayer support. 4. Take special care with the youth ministry. The youth ministry may be especially vulnerable to a potential attacker. Kids should be prepared to know what to do during an attack, and specific church members should be responsible for protecting youth during such a crisis. Consider how your church can help train new churches. Hold a special training event for all the churches in your area. We are deeply grieved at the tragedy that took place in Tennessee. It also serves as a wakeup call to us all, to prepare and pray. “I ask everyone to pray for the victims, family members of the victims, our church community. Please pray for healing. Also, please pray for the shooter, shooter’s family and friends. They are hurting as well,” said Engle. Very important article on security. I pray for every church in the nation to take notice of this recent tragedy and begin to implement some type of security measures to protect the pastor and congregation. Satan is blatantly and brazenly targeting Christians and walking into the house of the Lord with the intent to massacre as many as he can take out at one time–this is like the ISIS terrorist attacks; Satan the terrorist has launched all-out evil Jihad on the body of Christ. Our mind-set must be as violent against the forces of hell as they are against us. We have Jesus Christ, His name, His Word, His blood, His Spirit, and most of all, His authority over all the works of the enemy (Luke 10:19). We must use godly spiritual tactics from the Holy Spirit to stop the works of the devil against us (I John 3:8), and do not fear but stand in the faith of God and fight back. Satan will not wipe out the body of Christ because we are the body of CHRIST. Jesus is alive and powerful and Satan is weak and defeated. We win, we’re victorious and triumphant in Him forever. Let’s remember this. 24tirzah, very courageous saying, amen and amen! I totally agreed with you. 24tirzah, very well said. The fact that the shooter killed congregants INSIDE a church tells me that God is not going to stop every fatal attack. So, I think that responsible gun owners, who are trained how to use AND NOT TO USE firearms, should be allowed to carry concealed EVEN IN CHURCH. I am an NRA Life Member, who shot competitively in the 90’s. I taught both my sons how to load and unload all firearms and how to be safe with them, because they are only tools, just like hammers and drills. I applaud Mr. Engle for having the guts to tackle the killer, when so many people don’t have the guts to do that. As the NRA President Wayne LaPierre said, all it takes to stop a bad person with a gun, is a good person with a gun. Satan is definitely working overtime right now, which tells me that the END is getting really close. I’m 65 years old and I’ve never seen so much hatred and divisiveness as right now. Lord have mercy on us all. God bless you Craig and staff.